Sorry for the delay in payment of the winnings to the eventual winner of last seasons competition - Natasha. @Natasha Whittam wrote: Just for the record mods, I'm still waiting for my winnings for the "What's The Point" competition. I asked for them to be donated to the RSPCA, but I've seen no proof. @Reebok Trotter wrote: Apologies for the delay but I have been busy with one thing and another. I'll pay the winnings to Nuts Admin for payment to the RSPCA and I'll also run the competition again this season for anyone who wishes to take part. 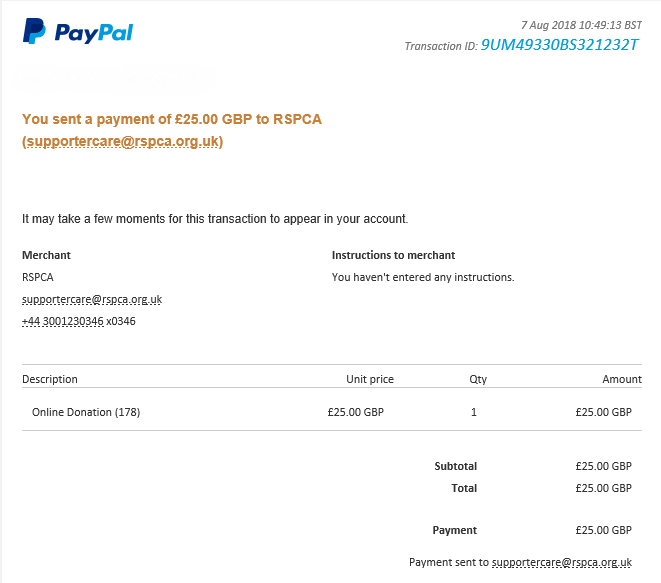 Payment will be made as requested to the RSPCA and once it has proof of the donation will posted up here on the forum as always. Again apology for the delay but we also do get there in the end. The delay is my fault entirely. I've had a lot on my plate the last couple of months and not had much time for the forum. I've forwarded an e-cheque to Nuts Admin via Paypal and I've set up a thread for this season. Apologies for the delay. Thanks RT for donating the prize and well done Nat for winning last season's "What's the Point" and donating to a worthwhile cause. A big well done to both RT for putting up this fantastic prize and Natasha who won it and donated it to a charity of her choice.